Get After Builders Cleaning in London from the Experts at AB Cleaning Now! Renovating your home is complicated on its own but when you take into account the debris and builders’ rubbish, it becomes stressful! We provide after builders cleaning services in London for your recently refurbished premises! Don't add the dust and dirt to your list of worries! You don't need to schedule numerous different builders’ clean companies to bring your home or office to the pristine condition you desire. Call AB Cleaners now and we'll carry out all the necessary tasks – from carpet cleaning and rubbish removals to one-off cleaning! We guarantee you – neither rubble nor dust is left behind! You can book our team of qualified professionals day and evening, weekdays, weekends, even on bank holidays! So sit back, relax and enjoy the fresh look of your newly renovated property! We'll take care of the rest. You can also call us should you need any type of rubbish removal, even if it is unrelated to post renovation cleaning. It doesn't matter if it's your backyard garden or your industrial warehouse – our skilled collectors have the means to get the job done, with minimum disruption to your family or business! We also offer numerous other services ranging from window and upholstery to end of tenancy cleaning, handyman and property maintenance! You can check our full range in the header menu above. It doesn't matter if you need one-off cleaning services for your London commercial building or you just want to schedule our carpet cleaning service and refresh the looks of your rug – we'll carry out the job fast, efficiently and at affordable rates! Our team of professional after builders cleaners and collectors is available seven days a week, morning and evening, bank holidays included! You can even book a same-day service if you're in an emergency situation! And you don't need to trust our word – you can always check the numerous positive testimonials left by our happy customers! Flexible Booking Slots – for your convenience our London after builders teams are available seven days a week, bank holidays and evenings included. 24/7 Customer Service – you can call and book our experienced after builders cleaners, no matter the time of the day! Free Price Quote – without any obligations! Custom-tailored Clean-up – we make sure that our approach will suit your needs best. Last Minute Miracles – book our emergency post renovation cleaning or rubbish removal available on the same day! Efficient Service, Affordable Rates – we know how to save you both time and money while providing quality results! A Wide Range of Services – we cover everything from after builders cleaning and one-off cleaning services in London to upholstery and carpet cleaning. Eco-friendly Approach – we use only non-toxic products and we recycle everything! Fully insured and qualified after builders clean-up specialists – guaranteeing immaculate results while keeping your premises covered! Extra discounts – the more services you combine, the cheaper it gets! E.g. you can schedule our handyman and construction cleaning teams in London at the same time for a price reduction! Renovation involves changes in the structure of the building, including extensions and conversions (such as turning your living room into a kitchen, or building a semi-attached greenhouse). As a rule of thumb, post renovation works involves collecting cement dust, construction materials debris, insulation, electrical wiring, wood and sawdust, bricks, nails, and even dangerous materials such as lead and asbestos. In general, post renovation cleaning mostly involves rubbish removals and subsequent clean-up procedures, such as jet cleaning, high wall washing and deep-cleaning toilets, bathrooms, sinks, bathtubs, drain pipes and other bathroom fixtures. Refurbishment generally means restoring the freshness of your property's appearance. It includes all decoration services (wall painting, wallpaper applying, carpeting, tiling). It also includes fixing troubled areas or items (plumbing, brickwork, faulty electrical outlets). Refurbishment after builders cleaning involves carpet cleaning (for paint stains, plasters or dust), windows cleaning, floor polishing. Your best choice would be to schedule a one-off cleaning service for your London property, regardless of the type of construction work carried out by the builders. It is also a good idea to book a rubbish removal during the renovation process to ensure that litter doesn't built up, as it is a potential fire hazard. Regardless of the construction works you need carried out, we guarantee that the only trace left of them would be your fully-renovated home. And while we are at it, why don't you check our handyman and builders services? Not only you will save more money by booking the maintenance and after builders cleaning services simultaneously – you will also save time! Don't Worry about Rubble – Book our After Builders Cleaners Today! 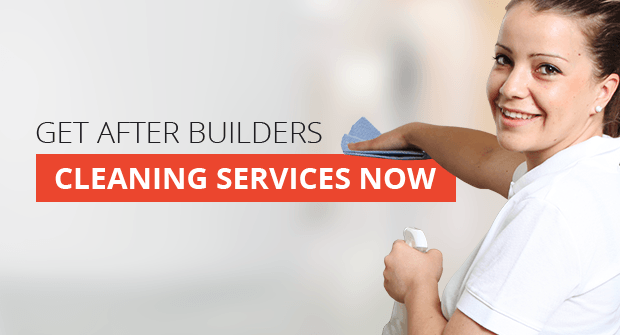 Call 020 3404 6777 now and schedule an after builders cleaning session in London! Our lines are open 24/7 and our friendly customer service is ready to answer all your questions! Don't forget to ask about our wide range of related post renovation cleaning services! We also provide a totally free, no-obligations price quote! Alternatively you can use our online contact form to get in touch with us – we'll call you back as soon as possible! Or you can talk with our advisers on one-to-one basis through our website chat facility! Whatever means of booking us you choose, all that will be left for you to do is relax, enjoy your renovated property, and let us carry out the tedious tasks for you!